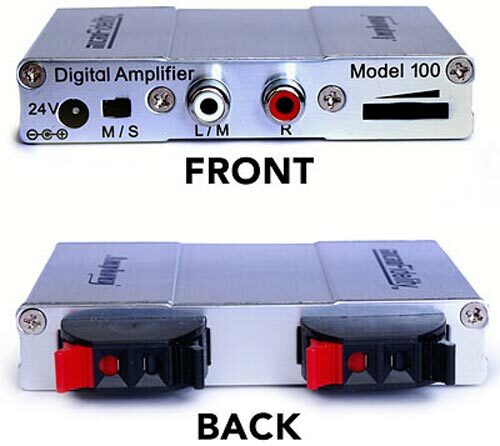 Check out this tiny pocket sized 50 Watt T-Amplifier, which delivers the clean sound of a tube amp without the extra bulk. It measures 91 (H) x 86 (W) x 19mm (D), about the size of a packet of cigarettes, and features an all aluminum housing. 15 dB signal-to-noise ratio, total harmonic distortion of only 0.05 % and a frequency response of 1 Hz o 75 kHz. 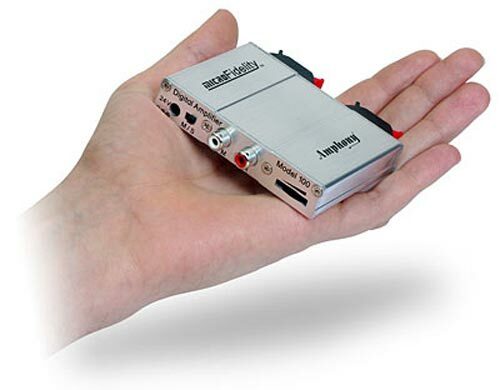 The pocket sized T-Amp is available for $69.99 from Think Geek .